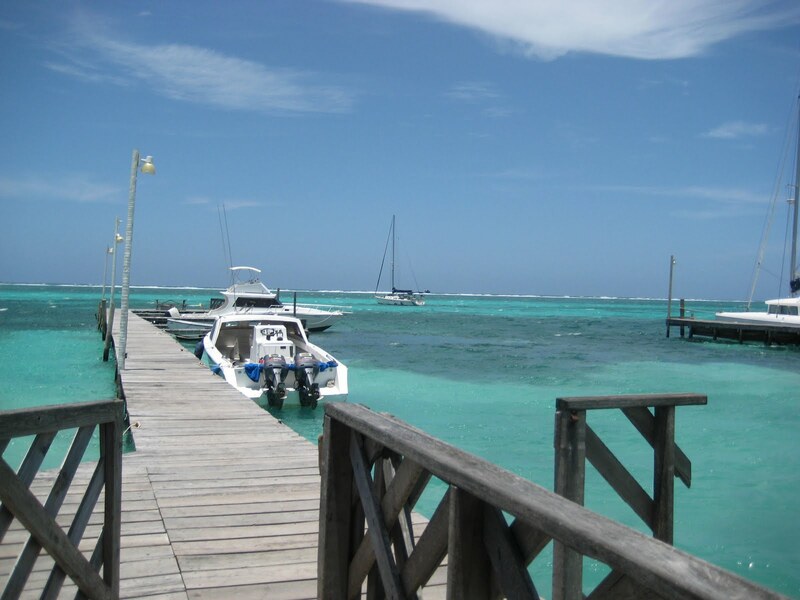 Home » Belize Travel Blog » Island Fun » Who Says You Can’t Get Lunch In San Pedro in Less than 5 minutes? 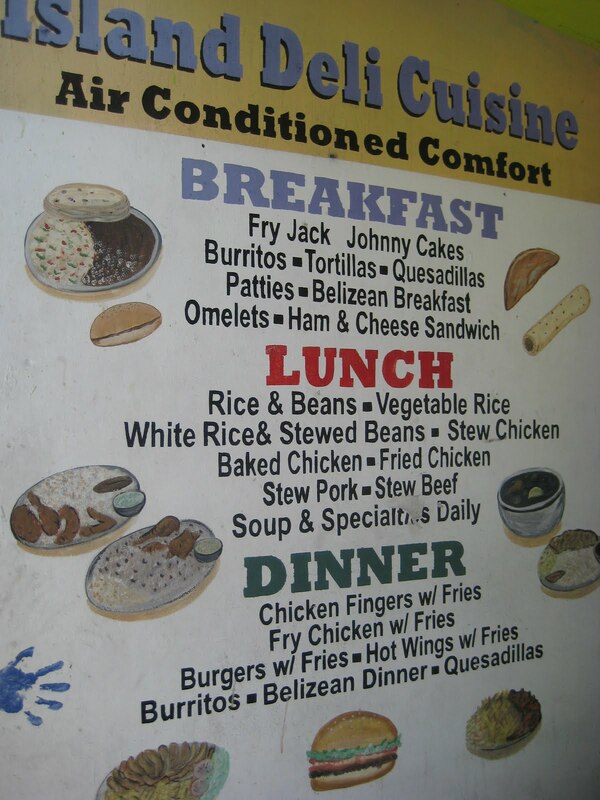 Who Says You Can’t Get Lunch In San Pedro in Less than 5 minutes? Well…for the most part me. Maybe it’s the NYC in me, but when I really want a quick lunch, I usually end up buying a few bag of Cheetos at Rock’s. Or going to the Bakery for a pre-made sandwich. Waiting for a to-go plate of chicken and rice for 30 minutes can make me a bit crazy. 5 years has not adjusted me to “island time”. But…on my way out of the Belize Bank (there were 20 people on line at that place as usual), I saw an intriguing and very rare sign. So I popped into the Island Deli. 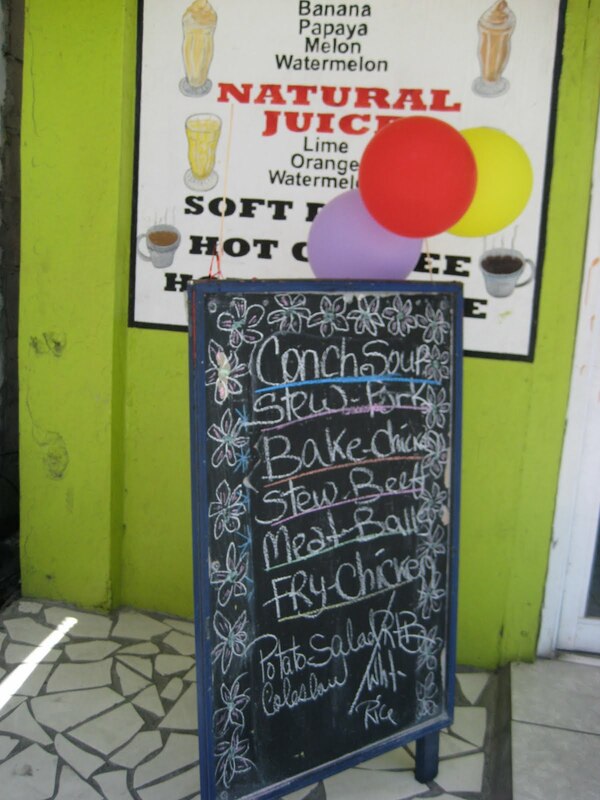 Plus, conch soup is one of my all time faves (and the season is coming to an end). 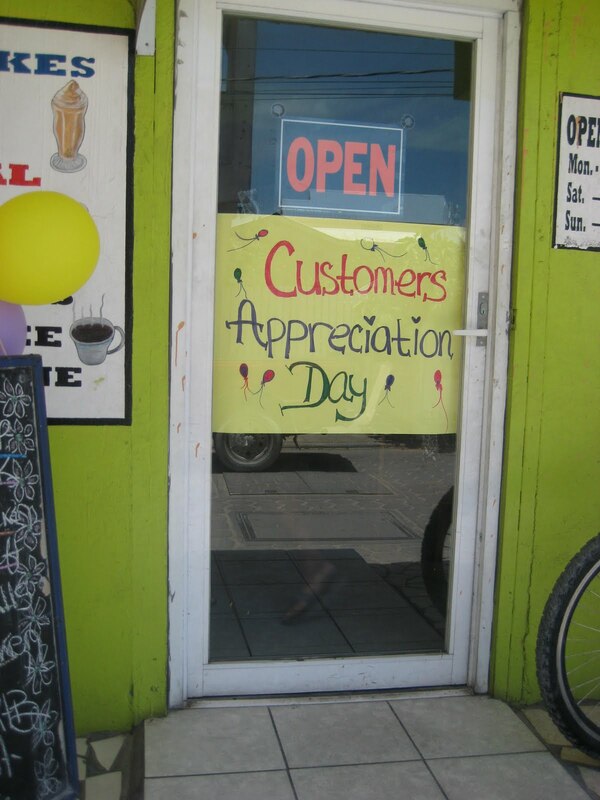 Here is what Customer Appreciation Day means in Island Deli. The to-go bag was packed and ready with my HUGE VAT of soup, rice and salsa in less than 90 seconds. I’d say an island record. Additional bonus: the soup is delish, creamy and filled with cilantro. And more than enough for two meals. $12bzd. Not any $ discount, but the speed is so rare and made me feel very appreciated, almost warm and fuzzy inside. I want to give honorable mention to Wild Mango’s. For a sit down fancy restaurant, they bring you the best lunch on the island surprisingly quickly. I also want to give an honorable mention to the sun for coming out today. Feels like it’s been gray and gloomy for a week.